Thomas F. Pettigrew and Linda R. Tropp analyze all the relevant research on contact theory. Does interacting with other groups reduce prejudice and conflict? Can it be proven? "The answer is yes, it helps, overwhelmingly," says Thomas F. Pettigrew, social psychology research professor at UC Santa Cruz. 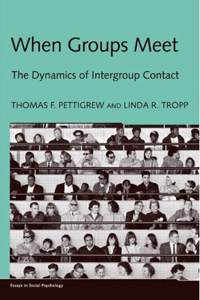 In a new book, When Groups Meet: the Dynamics of Intergroup Contact (Psychology Press, 2011), Pettigrew, an international expert on racism, and Linda R. Tropp, associate professor of psychology at the University of Massachusetts, Amherst, analyze research that shows how bringing groups together can mitigate prejudice. Pettigrew and Tropp, who received her Ph.D. in psychology from UCSC in 2001, painstakingly sifted through 1,400 published research papers on contact theory, narrowing their focus to 515 involving more than 250,000 subjects in 38 countries. Their work is the first meta-analysis to synthesize research on some of the most bedeviling social problems in the world – conflict between groups, racial, ethnic, religious, regional, economic, and social. Intergroup contact is any kind of contact, Pettigrew explained. "The deaf and the hearing, the blind and the sighted, as well as race and ethnicity," he said. The project began in 1998 at UCSC. Pettigrew and Tropp first published their findings in an article in the Journal of Personality and Social Psychology in 2006 that since has become one of the most widely cited. The book adds new work including research Pettigrew has analyzed from Philipps-Universität in Marburg, Germany. 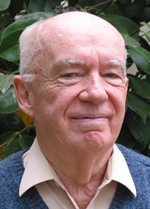 Pettigrew joined UCSC in 1980, retired 14 years later, then returned to teach courses for another six years. In 2009, he received the UC-systemwide Constantine Panunzio Distinguished Emeriti Award given for accomplishments since retirement. Pettigrew said he expected the research to show that contact helps reduce tensions but was surprised at how overwhelming the data was. "It was a bigger effect than I thought." Some of the best work being done on contact theory over the last 20 years is at Philipps-Universität, Pettigrew said. He's been able to review the German probability surveys on prejudice in an effort to determine when contact works best and why it works. "Friendship is the most important kind, as you might expect, though others have shown that friends of a friend can have an effect," he said. There are times when personal contact does not defuse tension, Pettigrew said, and that is when threat is involved. He offered as an example Israeli army checkpoints in the occupied West Bank. The presence of both the soldiers and the citizens at the checkpoint is not voluntary, he said. "Soldiers don't want to be there. They are scared to death. Palestinians are not happy having a checkpoint in their territory, it's humiliating and the soldiers are carrying guns. "That's not the kind of contact that can lead to better relations," he said.